From Pensacola to Miami, five Democrats and two Republicans are putting thousands of miles on their campaign coaches this weekend. A grinding $150-million marathon of backyard barbecues, pulpit politics, bus tours and presidential tweets is entering its final weekend,as the seven major candidates competing for the Democratic and Republican nominations to become Florida's next governor scramble to snare every last possible vote. From Pensacola to Miami, five Democrats and two Republicans are putting thousands of miles on their campaign coaches this weekend, scouring the state in search of the undecided. Perhaps more than half the total ballots in the primary election have already been cast, but every vote matters in the scrum for political survival. On the right, Trump-endorsed Congressman Ron DeSantis is expected to prevail over Agricultural Commissioner Adam Putnam, but a dicey week for the president could add a hint of doubt for the frontrunner. On the left, a jumble remains atop the crowded field, with former congresswoman Gwen Graham hoping to beat out Tallahassee Mayor Andrew Gillum, Palm Beach billionaire Jeff Greene, Winter Park businessman Chris King and former Miami Beach mayor Philip Levine. Though election day is the climax of a campaign slog that has lasted more than a year for some of the candidates, more than 1.3 million people have voted early and by absentee mail already. This weekend, thousands more will vote, particularly in African American communities. 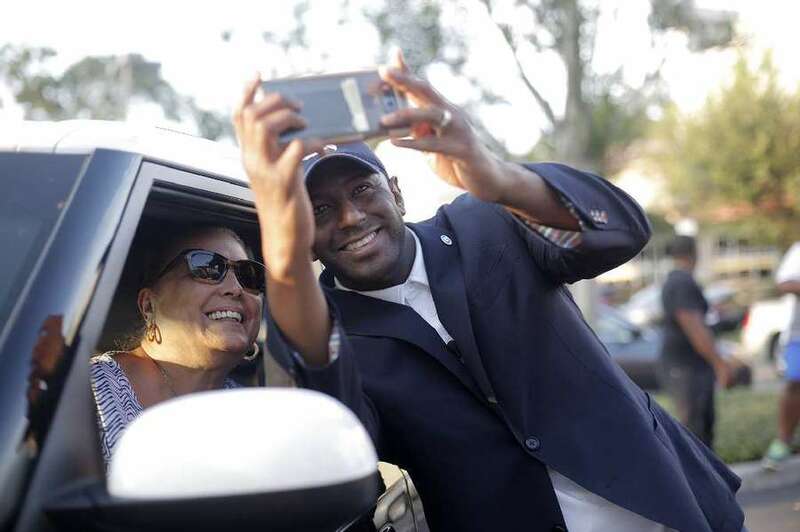 And this year, pastors leading the traditional Sunday "Souls to the Polls" will do so with the chance to elect the first black governor in Florida in Gillum. "It's a chance for them to help make history," said Geoff Burgan, a spokesman for Gillum, who plans to spend all of Sunday in South Florida, ending with a rally in Richmond Heights, where he grew up. So far, despite all the talk about a "blue wave" among Democratic voters, Republicans are the ones turning out in greater numbers in the primary elections. They've been whipped up by President Donald Trump himself, who came to Florida last month to rally for DeSantis. Though he has been outspent two-to-one by Putnam, DeSantis has steadily polled ahead dating back to the first debate between the two, held on FOX News in late June. Where Putnam has spent $35 million on things like campaign barbecues and television commercials, the conservative congressman has found a far cheaper way to reach voters through interviews on FOX defending Trump — and through Trump's own comments and actions. After tweeting in support of DeSantis, Trump seemingly locked up the Republican primary when he campaigned for the congressman in Tampa. But Trump's legal troubles this week — including a guilty verdict against former campaign chairman Paul Manafort and admissions by former attorney Michael Cohen that he secretly paid off women to keep alleged infidelities quiet during Trump's 2016 campaign— could give Putnam a pulse. "I hesitate to write off Putnam completely at this point," said Republican strategist Rick Wilson, noting Putnam's widespread name recognition and previous statewide campaigns. "But I don't think Trump's troubles are enough to break DeSantis' momentum." South Florida will also see plenty of the Democrats this weekend, which will should be the biggest of the campaign so far for the party. 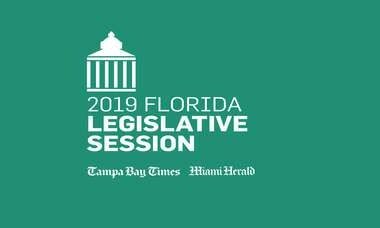 Juan Peñalosa, chaiman of the Florida Democratic Party, said Democrats are seeing an enthused base despite the Republican advantage in voting turnout. With numbers outpacing returns from the primary elections four years ago by about 120,000 votes, Peñalosa said this weekend should have significant returns for the campaigns. "We're approaching 2016 primary levels, which is kind of unheard of in midterm elections," he said. The Republican candidates for governor debated in Jacksonville on Wednesday, Aug. 8, 2018. Ron DeSantis, left, listens as Adam Putnam makes a statement. Though the cost of advertising in the Miami media market has prohibited most campaigns from running commercials until about last week, Gwen Graham — whose family helped found Miami Lakes — went on air recently with a commercial touting her as "Miami's own." Meanwhile, Jimmy Buffett hosted a free concert in Hollywood Thursday night for her campaign. "We're going to win over independent and Republican women in the general," Graham, already looking past the primary, said Friday on an Emily's List conference call with reporters. 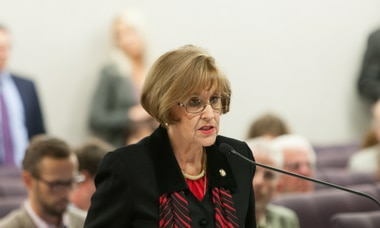 "This will give us the extra edge to finally end Republican rule in the state of Florida." Graham's spending comes with an extra boost: Greene, a real estate tycoon who's invested more than $40 million into his race, took down commercials last week blasting Graham. His campaign — which on Friday announced a new, smallish six-figure TV buy in South Florida and a few other markets — says it decided to move away from a TV-based campaign to a field-driven one. Like Greene, Levine has been in heavy rotation on cable and network programming with his commercials thanks to his ability to self-fund his campaign. But when Greene pulled his ads Thursday — including those attacking Levine — the former Miami Beach mayor announced he was rolling out his final ad in a blitz that began months ago, starting early with the new year. Levine, who'll campaign this weekend in South Florida and Kissimmee (where he's courting Puerto Rican voters with former governor Sila Maria Calderon) also has one of the largest field operations in the state. Gillum, meanwhile, is also expected to field a massive team bolstered by billionaires and non-profits to help push him to victory. All told, the seven candidates have spent about $150 million so far, according to campaign reports, with more to come by the time election night is done. Finding the money to continue on in the general election becomes a good problem to have.